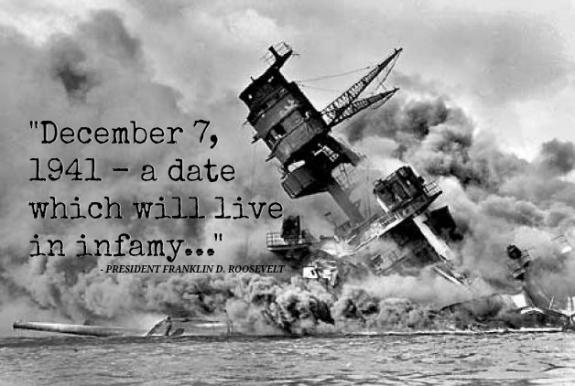 It’s been nearly three quarters of a century since the Japanese surprise attack on the U. S. naval base at Pearl Harbor, Hawaii. The generation of Americans whose lives were forever changed by that event is dwindling rapidly. Why not pause for a moment to reflect on that event and to remember those who gave their lives on that dark day? Click here for a slide show of images of the attack and of modern commemorations. DID CORPORATE AMERICA REALLY INVENT CHRISTIAN AMERICA? Forgive me for being away for so long. I don’t know how academics who blog daily (or more frequently!) find enough hours in the day. At any rate, I’ve been up to my eyeballs with work recently. This week has been particularly full, but late this afternoon I was able to slip away to my favorite hideout (the super-cool loft in a café near campus), I’ve just taken my time with a cup of Darjeeling and a slice of chocolate banana bread, and now I get to tell you about one of the last books I read under my tree before duty called me back to the office at the end of the summer. Boiled down, Kruse’s thesis is that the contention that America is a “Christian nation” is hasn’t been around nearly as long as we think. It began to be promoted by businessmen, of all people, during the Great Depression, for reasons that had little to do with either religious conviction or historical belief. Alarmed by the purportedly anti-business activism of the New Deal, business magnates like E. F. Hutton, J. C. Penney, and Conrad Hilton, among others, began linking capitalism and Christianity, with the not so subtle insinuation that restrictions on free enterprise are un-Christian. By insisting that the United States is a Christian nation, they strengthened their indictment of FDR and his minions, making the New Deal not only un-Christian but also un-American. In years to come, politicians from both the Left and Right would embrace this rhetoric during the Cold War as a way of differentiating the United States from atheistic communism. During the 1950s, among other symbolic acts, Congress passed bipartisan measures adding “under God” to the pledge of allegiance and “In God We Trust” to the nation’s currency. In doing so, however—and this is a point that the author repeatedly underscores—they were building on an argument crafted for them by the nation’s wealthiest businessmen. So here are my first impressions, keeping in mind that I am far from an expert on the 1950s: First, I really enjoyed reading the book. It will never be made into a movie, but Kruse writes clearly and without pretentious jargon, and I found myself getting into the story. (And Kruse is telling a story; this is good old fashioned narrative history that follows a clear chronological trajectory). He’s also obviously spent a lot of time in the archives. The research is extensive and meticulous, and I learned a great deal thanks to his labors. If you’re interested in the role that Christian rhetoric and imagery can play in politics, you’ll likely find this book fascinating. But really liking a book is not the same as being wholly persuaded by it, and I am not persuaded by One Nation Under God. Let me say at the outset that Kruse makes a much more nuanced argument than the subtitle would suggest. 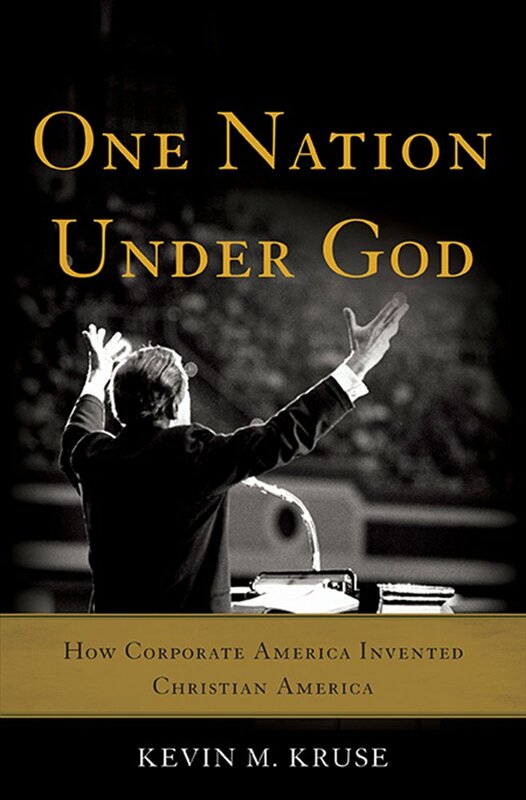 The subtitle will help to sell books—and the marketing gurus at Basic Books may be more to blame than the author—but the simplistic assertion that “corporate America invented Christian America” struck me as calculated sensationalism. Let’s begin with the role played by “corporate America.” Kruse makes a compelling case that by the 1930s a lot of big businessmen were actively defending free enterprise by linking it to Christianity. With regard adding “under God” to the Pledge of Allegiance” and “In God We Trust” to the nation’s currency, he convinces me that corporate leaders had been suggesting such measures for a couple of decades, and that their motives had a lot to do with restoring the reputation of business during the Depression and making a case against New Deal activism. At the same time, Kruse notes that Dwight Eisenhower—the only president to be baptized while in office—emphasized America’s religious roots out of genuine conviction and firmly believed that religious faith was vital to the nation’s flourishing. The same apparently held true for at least a significant proportion of the congressmen who followed his lead. I’m more troubled by how Kruse defines the concept of “Christian America.” Kruse’s focus is on officially designated symbols; he places enormous emphasis on the Congressional recognition of the phrases “under God” and “in God we trust.” But the concept of “Christian America,” as used in both academic and popular writing, is usually understood more broadly. Steven Green, for example, dates the “invention” of Christian America to the second generation after the American Revolution. He bases his conclusion not on official Congressional acts but on the claims of religious and political leaders and the opinions of common Americans. For Green, in other words, the concept of “Christian America” was born when a critical mass of Americans began to think of the U. S. in this light. For Kruse, the concept didn’t exist until Congress enacted it. This approach strikes me as far too rigid. No one can deny that “under God” was only added to the Pledge of Allegiance in 1954, but was this change substantive or symbolic? Did adding “In God We Trust” to currency in 1955 really redefine the nation, or did it institutionalize an already widespread cultural perception? Because Kruse skips over the first century and a half after independence, we can’t really assess how significant these congressional acts were. I have my doubts. For example, Kruse makes much of the Congressional mandate requiring “In God We Trust” on all money, but the government had begun stamping the phrase on certain coins as early as the Civil War, and had been doing so on all denominations of coins by 1907. Would we really say that the addition of the phrase to paper money—and not just to pennies, dimes, nickels, and quarters, etc.—was necessary before we could say that “Christian America” existed? More broadly, there were numerous public practices long before the 1950s that linked the government at least symbolically with a generic Judeo-Christian religion. The authorization of chaplains for the armed forces, presidential thanksgiving proclamations, and invocations of God in inaugural addresses all long predate the period of Kruse’s focus. In sum, while Kruse may be right, I think he needs to do more to persuade us that the changes of the 1950s were as substantive as he claims. These misgivings aside, I do believe that there is a message in One Nation Under God that American Christians need to hear. Although I’m far from convinced that “corporate America invented Christian America,” Kruse offers compelling proof that during the mid-twentieth century the insistence that the United States had always been a Christian nation became inextricably intertwined with a host of political and ideological commitments that had little to do with the Gospel. In this respect the entire book is a cautionary tale, and well worth the reading. I’m sorry to have been away for so long. The beginning of a new academic year is always hectic, and this year seems more frenzied than most. I’ll try to check in at least once a week, although I’ve fallen short of that goal recently. I thank you in advance for sticking with me. Last time I promised to report on a couple of books that I read this summer on faith and the American founding. In this post and the next I’ll make good on that pledge. The question of whether the United States was founded as a Christian country is a historical perennial—it keeps coming back. Or maybe it’s more accurate to say that it never goes away. When I interact with Christians who are interested in history, nine times out of ten this is the first topic they want to talk about. I was reminded of this last weekend when I began a month-long series of lectures at an evangelical church on what it means to think Christianly about our nation’s past. My goal in the opening talk was simply to persuade the audience that Christians need to pay attention to history—indeed, that we have an obligation to do so—and I said almost nothing about American history specifically. (You can see the gist of my argument here.) Even so, one of the first questions after I was done concerned the beliefs of America’s founders. Wasn’t the United States founded by Christian men guided by Biblical principles? It’s a good question but not an easy one. History is complicated, and we live in a culture that requires answers in 140 characters or less. Compounding the challenge, the question has become hopelessly politicized. It’s intertwined with a host of controversial contemporary issues having to do with religious freedom in our increasingly secular society. This raises the stakes. And precisely because more is at stake, the question becomes both more important and harder to handle. Without realizing it, we’re tempted to make history into a weapon instead of a source of wisdom. Unfortunately, we rarely learn from the past when our goal is to prove points with it. This is why I’m always on the outlook for good books that can help American evangelicals think Christianly about our nation’s past, and why I immediately put Steven Green’s latest book on my reading list when it came out earlier this year. 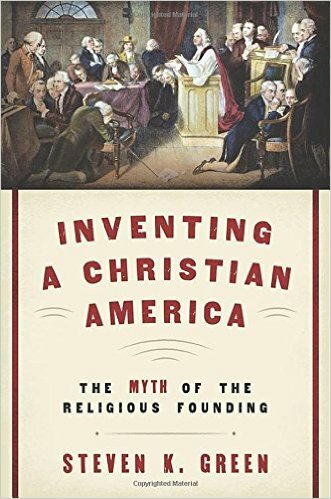 The title was enough to hook me: Inventing a Christian America: The Myth of the Religious Founding. I also respect the press that published it. Oxford University Press (which published my book Lincolnites and Rebels) is not a Christian publishing house, but its editorial board takes religion seriously and the press has published a lot of fine work in the area of religious history. I’ll be reviewing the book for academic scholars in Fides et Historia, a journal affiliated with a national organization of Christian historians called the Conference on Faith and History. Here are my thoughts concerning what Inventing a Christian America has to offer interested Christian readers outside the Academy. The author, whom I do not know personally, is a professor of law and director of the Center for Religion, Law, and Democracy at Willamette University. Green explains in the opening pages that his goal is to “unravel the myth of America’s religious foundings,” to help us understand “how the idea of America’s Christian origins became a central part of the nation’s founding narrative.” He promises not to become embroiled in the “irresolvable” debates over whether the Founders “were devout Christians or atheistical deists, of whether the people of the founding generation believed chiefly in divine providence and the role of religion in public life, or in separation of church and state.” Rather than focus primarily on the founding and the Founders, in other words, Green wants to explain why the belief that America was founded as a Christian nation became so important to later Americans’ sense of national identity. Where did the myth come from, and why did it become so deeply entrenched? Green’s answer is that the myth evolved over several generations, but that “the most significant period of myth-making occurred in the early years of the nineteenth century as the second generation of Americans sought to redefine and reconcile the founding to match their religious and patriotic aspirations for the nation.” This was a period when the Second Great Awakening was transforming the American religious landscape and evangelical denominations—Methodist and Baptists, most notably—were exploding in size and cultural influence. As Christianity flourished in America during the early 1800s, American Christians retroactively baptized the 1600s and 1700s as well, inventing—or at least exaggerating—the nation’s religious roots. In sum, they practiced “revisionist” history. Let me put my cards on the table here. I think that Green is partially correct. The evidence is overwhelming that the proportion of Americans belonging to Christian churches mushroomed dramatically during the first half of the nineteenth century. It’s also clear that there was a lot of creative rewriting of the nation’s founding during these years. The revolutionary generation had passed from the scene by the height of the Awakening, and newly zealous evangelicals were quick to swallow sentimental commemorations that recreated the past in their own image. They were neither the first nor the last members of the human race to engage in this near universal practice. Beyond this, Green offers some specific insights that American evangelicals interested in our history need to hear. Repeatedly, he makes the good point that we should be just as cautious in reading histories of the founding written in the nineteenth century as we are of histories written in the twenty-first century. When David Barton insists, for example, that accounts written before 1900 are intrinsically more trustworthy than more recent works, he’s just revealing his ignorance of the context in which the former were written. Green is also correct to remind us of the danger of proof-texting sources from the past. Most Christians are alert to the danger of plucking isolated verses from the Bible without paying sufficient attention to the totality of Scripture, but we frequently abandon that caution when it comes to the writings of the Founders. We’re rarely willing to do the hard work of immersing ourselves in the historical era that interests us when a few scattered quotes are sufficient to confirm our preconceived notions. Despite these strengths, I really can’t recommend this book. Here are three reasons why. First, Green fails to follow the roadmap for the book that he sets out in the introduction. 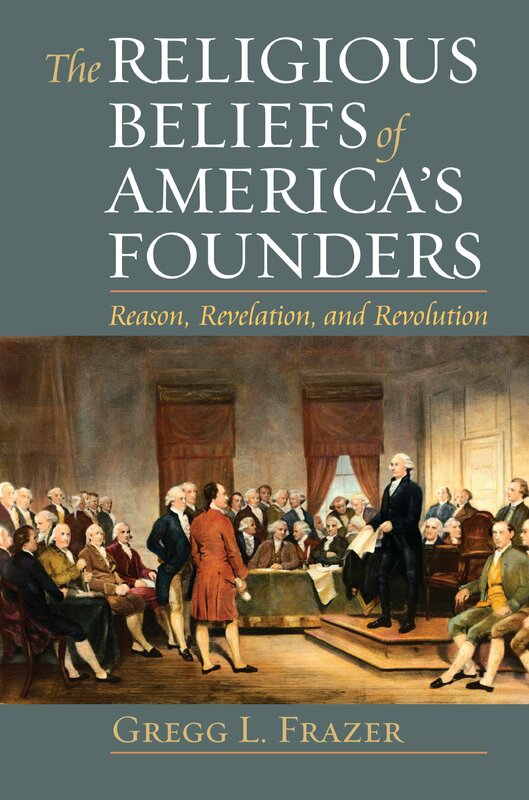 Rather than shunning the “irresolvable” debates over the actual religious beliefs of the Founders, Green devotes four fifths of the book to “debunking” specific claims about the founding. 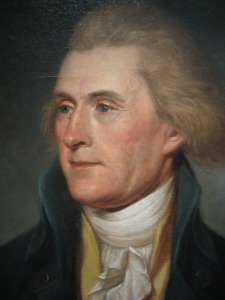 The result is that he spends a great deal of time going over territory that has already been plowed again and again: the influence of Christian belief on the establishment of the American colonies, the connection between Christian convictions and the American Revolution, the specific religious beliefs of the leading Founders, and the role of religious principles in the nation’s founding documents, among other topics. In contrast, very little of the book actually focuses on the historical memory of Americans during the early nineteenth century, the period when the belief in America’s Christian founding was supposedly taking root. Second, because of the approach that Green takes, his treatment of the founding is almost unavoidably superficial. He tries to cover way too much in a book of just over two hundred pages: the establishment of the colonies; the religious beliefs of individual Founders; the influence of Christian conviction and Scriptural principle on views of religious freedom, on political liberty, on resistance to authority, on the Declaration and Constitution, among other things. When he finally gets to the early 1800s—the period that was supposed to be the focus of his book—he seems to have lost steam. He devotes barely forty pages to suggesting how the belief in America’s religious founding grew after the passing of the Revolutionary generation, and his account is superficial and anecdotal, shifting from Parson Weems to Lyman Beecher to Alexis de Tocqueville in rapid succession. Finally, my sense is that Green has stacked the deck against the Christian America argument. Repeatedly, he defines the argument for America’s religious founding in a way that is easy to discredit. For example, with regard to the original establishment of Britain’s American colonies, he insists that the Christian Nation myth posits not only that the colonies were settled by religiously motivated Christians who believed that government was ordained by God and derived its authority from the Creator, but also that the original settlers were religious dissidents wholly committed to modern understandings of religious freedom. The latter is child’s play to topple. Seventeenth-century Protestants almost never understood religious liberty as we would today. As Green frames his argument, however, their religiously motivated opposition to modern standards of religious toleration becomes evidence for the myth of Christian America. I call that strange. In the end, this is a book that could have been much better, much more valuable to Christian readers than it is. Independence Day is only a week away, so I thought I would share a few more thoughts about what it might look like to think Christianly about the American founding. The degree to which Christian beliefs influenced the creation of the United States is a question that many American Christians find intrinsically important. I certainly share that view. As finite human beings, we live in time and space. We encounter the world, necessarily, from our own limited perspectives. This means, as Wineburg explains, that we naturally make sense of new things by analogy. Without even having to think about it, when we come across something new to us (like an unfamiliar behavior or belief from an earlier time or a different place) we reflexively search for an analogue that we are already familiar with, rummaging through the file drawers of our minds in search of the image or object or concept that most closely resembles it. When we find what looks like a decent match, we say that the new thing we have encountered is “like” something else. The construction of this analogy is natural, and potentially it’s a valuable first step toward understanding, but it comes with risk. Once we recognize something ostensibly familiar in people from the past, we will be tempted simply to label them and move on, to let that first step toward comprehension serve as our final judgment. When we do that, however, we exaggerate the familiar at the expense of the strange, and we misrepresent the people we are trying to understand. But when we study the past, our hearts are always involved as well as our brains. And so I am convinced that one of the keys to thinking Christianly about the past is to practice greater self-awareness of our hearts as we study and explore. This means, above all, examining our motives: Why are we interested in the topic in the first place? What do we hope to gain by our efforts? Are we open to being challenged, even to changing our minds? Are we seeking to learn from the historical figures we encounter, or is our real intention (whether we’re aware of it or not) to use them to accomplish our own purposes? As a Christian, I believe that our sin nature leaves its mark on everything we do, even our study of history. Consciously or unconsciously, we tend to view the past in self-serving, self-justifying ways. This means that thinking Christianly about the past–guided by love and humility–is every bit as unnatural as thinking historically. The latter reflects our finiteness; the former results from our fallenness. I’m not for a moment suggesting that academic historians are immune from this tendency. Nothing could be further from the truth. But my primary burden is not for academic historians. As I shared when I started this blog, my heart’s desire is to be in conversation with the church about the relationship between loving God and learning from history. And so I have a warning to share: be careful of what you read. When it comes to thinking about the relationship between faith and the American founding, the work by Christian amateurs caught up in the culture wars has been just as biased and, in my opinion, just as damaging as anything that the secular academy has produced. Why would I say such a thing? I have previously written about how individuals such as Peter Marshall Jr., David Manuel, Francis Schaeffer, Doug Wilson and Steve Wilkins erred by grounding essentially religious arguments about the present in historical assertions about the past. These writers inadvertently backed themselves into a corner that it made it impossible for them to admit historical errors. Any mistakes in their interpretations of the American past would seem to weaken their religious interpretations of the American present. What is worse, in varying degrees these writers conflated the authority of scripture with the force of their own fallible interpretations of American history. They also modeled what I have labeled the “history-as-ammunition” approach to the past. Whether their goal was primarily to motivate the faithful or to do battle with unbelievers, they implicitly thought of history primarily as a source of examples to buttress arguments they were already determined to make. For all his genuine zeal and good intentions, this is precisely true of David Barton as well. The problem with the history-as-ammunition approach is that its goal is not really understanding. It typically emerges from a context of cultural debate, and the goal of debate, as we all know, is to win. When it comes to the topic of faith and the American founding, then, amateur Christian historians have too often focused on a simplistic, yes-or-no question: did religious belief play an important role or didn’t it? And so, like David Barton, they count references to God and allusions to Scripture and answer the question with a triumphal “yes!” They then wield this two-dimensional “Christian heritage” as a lever for motivating believers and putting secularists in their place. In the process, however, they actually discourage the kind of encounter with the past that can penetrate our hearts in life-changing ways. What would a different approach look like? The best way I know to answer this question is with a concrete example. As I mentioned in my last post, an encouraging development in recent years has been the increasing willingness among Christian historians to breach the walls of the academy in order to communicate with the church. Younger scholars who are doing so include (among many) John Fea of Messiah College, Thomas Kidd at Baylor, and James Byrd of Vanderbilt University (my alma mater). The example I want to share now, however, is from an older book by Mark Noll, formerly of Wheaton College, now at the University of Notre Dame. Noll is a brilliant scholar, a prolific historian, and a kind and gracious Christian gentleman. 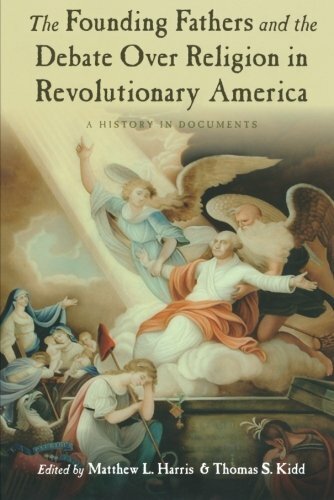 In the context of the bicentennial of American independence, Noll determined to investigate “the way in which religious convictions and Revolutionary thought interacted in the minds and hearts of American Christians.” The purpose of the resulting book, Christians in the American Revolution, was less to prove that the United States had a Christian heritage than to discover the response of Christians to the revolution and learn from it. Undertaking an exhaustive reading of colonial sermons, pamphlets, and other primary sources, Noll concluded that the Christian response to the momentous political events of the period had been complex. In their responses, colonial Christians fell into four broad categories. Some supported the revolution enthusiastically, convinced that the patriot cause was unequivocally righteous and perfectly consonant with every Christian virtue. Some supported independence more circumspectly, troubled by perceived hypocrisy or inconsistency in the patriot position. Others saw loyalty to the Crown as the only truly Christian response, while a final group, believing that Scripture condemns violence, embraced pacifism and supported neither side. Noll then proceeded to ask two overarching, open-ended questions of the evidence. The first involved the nature of Christian influence on the struggle for independence, i.e., what did the Church do to and for the Revolution? Among several influences, Noll found that countless colonial ministers openly espoused the cause of independence from the pulpit. They defined freedom as the divine ideal, equated oppression with the Antichrist, assured their flocks that God was on the side of the patriots, and effectively presented the Revolution as a holy crusade, a spiritual struggle between good and evil. 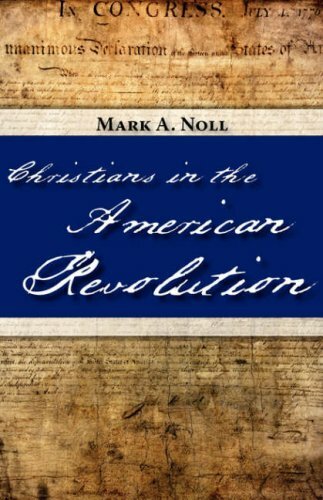 Had Noll only been interested in establishing that the American Revolution had a Christian dimension, he could have stopped right there. Readers interested only in proving that the United States was founded as a Christian nation would have found a treasure trove of useful quotes indicating that American colonists routinely thought of the conflict with Britain in religious terms. And yet Noll didn’t stop there. Instead, he asked a second, probing, uncomfortable question that Christian culture warriors have too often passed over, i.e., what did the Revolution do to and for the Church? In addressing the question of what the Revolution did to the church, it is necessary to consider whether Christian integrity was not swamped in the tide of Revolutionary feeling. From a twentieth-century perspective it appears as if all sense of proportion was lost, particularly where no doubts were countenanced about the righteousness of the Patriot cause. Where presbyteries could exclude ministers from fellowship because of failure to evince ardent Patriotism, where the “cause of America” could be described repeatedly and with limitless variation as “the cause of Christ,” and where the colonists so blithely saw themselves standing in the place of Israel as God’s chosen people, the question must arise whether the Revolution did not occasion a momentary moral collapse in the churches. 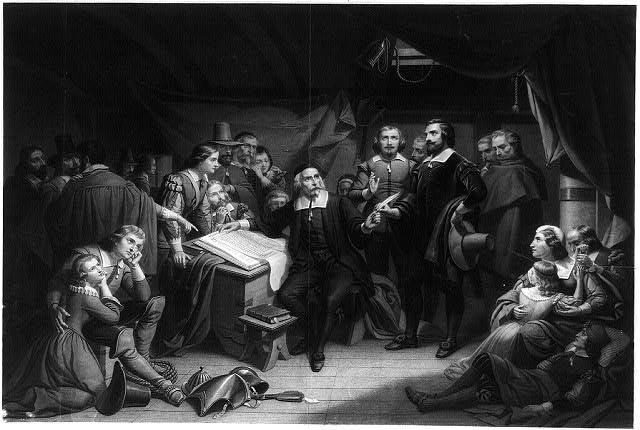 Those ministers and lay believers who allowed the supposed justice of the Patriot cause and displays of Patriotic devotion to replace standards of divine justice and the fruit of the Spirit as the controlling determinants of thought and behavior betrayed basic principles of the Christian faith–that absolute loyalty belongs only to God, and that unwarranted self-righteousness is as evil as open and scandalous sin. In his wonderful book Visions of Vocation: Common Grace for the Common Good, Steven Garber observes that “history is mostly . 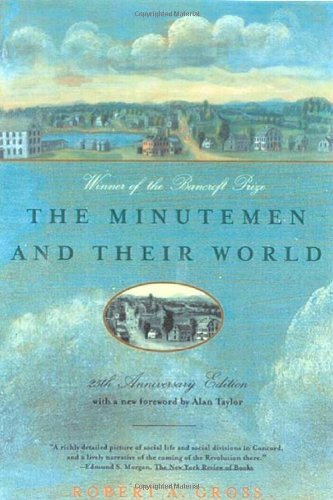 . . very ordinary people in very ordinary places.” Garber’s reminder prompts me to share some books with you that offer insight into the way that common Americans responded to and were changed by the American Revolution. The Fourth of July will soon be upon us, and the anniversary of American independence will prompt many of us to reflect on the origins of the United States. We will zero in on the values of the first “Greatest Generation,” and we’ll debate the nature of the beliefs that propelled them and the vision that sustained them. I think that’s a good thing. But we’ll undoubtedly focus our attention primarily on the same small cast of characters, the extraordinary leaders who would eventually get their pictures on our folding money. And they were extraordinary men—brilliant, visionary, and courageous. Yet understanding what the American Revolution meant in the lives of everyday people is important as well. When we focus exclusively on the leading statesmen—Adams, Jefferson, Franklin & Co.—the Revolution has a way of becoming a debate among philosophers over abstract propositions. I am not denigrating for a moment the power of their ideas or the importance of the questions that drove them. We need to return regularly to both and enter into the conversation of which these remarkable thinkers were a part. But I am suggesting that we lose something by not broadening our focus. Most obviously, by concentrating so exclusively on the leading Founders, we close our eyes to 99 percent of those who contributed to the cause of American independence. How can we claim to know what the Revolution stood for, if we have no idea what the vast majority of Americans thought it was about? If we don’t know why they supported it (if they did)? If we’re unsure how they contributed to its outcome? If we have no clue how it changed their lives? I think we miss something else as well. Readers of this blog will know that I think one of the most important reasons to study the past is to gain wisdom. At its best, the study of history can be a marvelous vehicle for moral reflection. For those who have eyes to see, the past has much to reveal to us about the present and much to teach us about how to meet the future. In this regard, focusing on the lives of extraordinary leaders is a two-edged sword. We may marvel at their extraordinary character or accomplishments, but precisely because they are so extraordinary, we may find it hard to relate to them. My suspicion is that we are more likely to admire them than to be challenged or convicted by them. This, then, is another reason why it is so important to recapture the perspective of common folk. Few of us will ever be called to lead armies or frame new governments, but we may be able to relate to—and learn from—the many mundane moral decisions that our anonymous ancestors have faced before us. So here are three books that I have long appreciated for their ability to take us into the world of everyday Americans during the era of the American Revolution. They’re each fairly short, readily available, and relatively inexpensive. They’re also each very different. They rest on different kinds of sources, offer different understandings, and model different ways that historians try to glean insight into the world of common people in ages past. 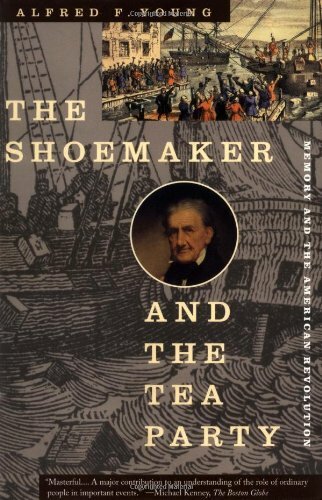 The first is The Shoemaker and the Tea Party, by Alfred Young. In the first half of the book, Young painstakingly recreates the life of a poor Boston shoemaker named George Robert Twelves Hewes. (Some name, huh?) Hewes was born in Massachusetts in 1742 and lived his life in obscurity until the 1830s, when through an unusual chain of events it was discovered that he was one of the last living participants in the Boston Tea Party. Young describes Hewes as “a nobody who briefly became a somebody in the Revolution and, for a moment near the end of his life, a hero.” Two lesser known contemporary writers quickly penned biographies of the aged patriot, who was invited to Boston in 1835 and treated as a celebrity. Young draws from both accounts—supplemented by as much corroborating evidence as he can find from other historical sources—to ask three primary questions: What was Hewes’ role in the Revolution? What did he think about it? How did it affect his life? Robert Hewes was among the poorest of the poor. Born the youngest of nine children, his father died when he was seven and his mother passed away when he was fourteen. That same year he was apprenticed to a shoemaker (an occupation very low in status and income) because no one in his family could come up with the fee necessary to indenture him to a more lucrative trade. He later married the illiterate daughter of a church sexton and fathered fifteen children, none of whom had the means to care for him after his wife of seventy years passed away. Hewes’ large family and minimal means shaped the contours of his service in the Revolutionary cause after the rupture with Britain. Unable to be away from his family for extended periods, he served numerous short stints as both a private in the militia and as a crew member on an American privateer. All told, he was in military service for a little over a year and a half of the eight-year long war. “In all this activity he claimed no moment of glory,” Young summarizes. There was a lot of marching, a lot of drudgery, and very little pay. Hewes was as poor when the war concluded as when it began. 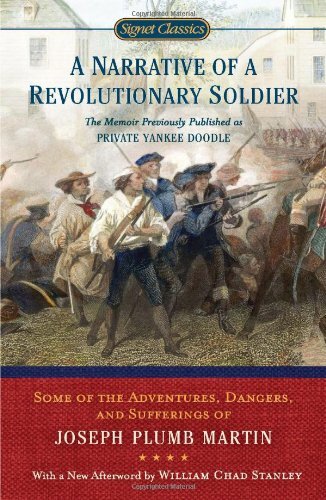 Hewes’ numerous short stints in the militia were fairly typical of military service during the Revolution. Military historians have estimated that as many as four hundred thousand colonists served at one time or other, but the vast majority of these served in the militia for brief periods of a few weeks or months. In contrast, by 1777 the soldiers in George Washington’s Continental Army were enlisted for the duration of the war. Washington’s force never exceeded twenty thousand men, however, and was greatly smaller than that for much of the war. The world of the Continental soldier is the focus of A Narrative of a Revolutionary Soldier: Some of the Adventures, Dangers, and Sufferings of Joseph Plumb Martin. While The Shoemaker and the Tea Party represents the efforts of a modern-day historian to recreate the life of an obscure colonist, the Narrative conveys the life of a common Continental soldier in his own words. In contrast to Hewes’ numerous short stints in military service, Joseph Martin served as a private under General George Washington for nearly eight years. The Connecticut farm boy volunteered at the ripe age of fifteen and was still scarcely an adult when he was discharged at the war’s conclusion. Martin composed his memoir nearly a half century later, right about the time Robert Hewes was being celebrated in Boston. At the heart of the book is the truth that key historical events emerge out of a context. The men who took their stand at Concord bridge were fathers, sons, brothers and friends. They did not take up their muskets as autonomous individuals, but as members of a community. Their lives were enmeshed in numerous relationships defined by kinship, geography, economy and religion. As we read about Concord on the eve of the Revolution, Gross uses the community as a window into the colonial world. You learn about eighteenth-century agriculture, the status of women, slavery and race relations, attitudes toward the poor, differences over revivalism, and relations between parents and their adult children. In the process, the town’s Minutemen cease to be cardboard cutouts and take on flesh and blood. This changed with the arrival of news concerning a new series of acts passed by the British Parliament in response to the Boston Tea Party. Colonists quickly labeled the new laws the “Intolerable Acts.” While the measures focused primarily on punishing Boston specifically, one of the acts limited all towns in Massachusetts to one town meeting a year. As Gross explains, the people of Concord saw this as a direct assault on their freedom to manage their own community, and the response was a far greater support for resistance than had existed before then.